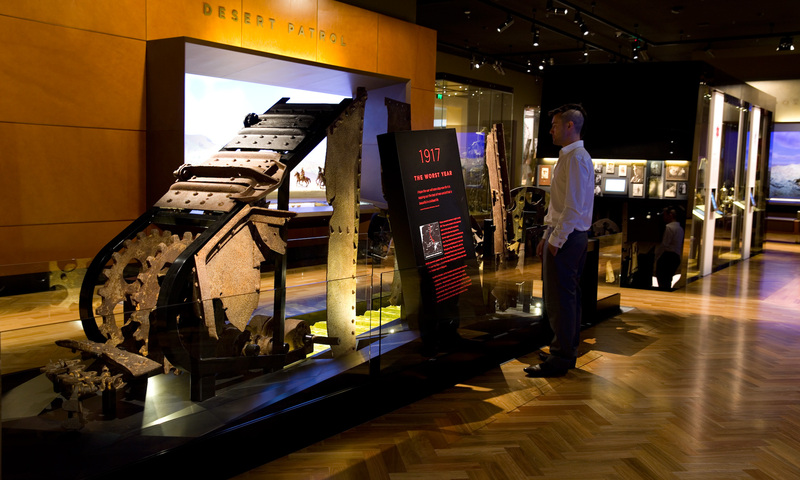 The major redevelopment of the First World War galleries is part of the Australian War Memorial’s commemoration of the Centenary of World War I, 1914 – 1918. For this new gallery we designed, fabricated and installed more than 400 object mounts for the opening exhibition, Australia in the Great War. Our role on the project also included designing and fabricating figurative metal wire frame sculptures and an artistic response to the destroyed parts of a Mark II tank. We also designed and fabricated an archival custom poseable mannequin system. Exhibition design by Cunningham Martyn Design.